When Should You Grind Your Dog’s Nails? If you are a dog owner, you can attest to the fact that your pet will always avoid getting its nails trimmed and it is not always easy to shorten your dog’s long nails. Despite all this, it is important to note that you probably have to trim your dog’s nails everyone to one and a half months, and – if your dog can tolerate the sound and feel, using a dog nail grinder is a way which makes it all but impossible for you to accidentally cut your pet. A dog nail grinder is basically a grooming tool which serves as an alternative solution to cutting nails for dogs that seem not to like clippers. Instead of clipping the nail, this grooming tool grinds away at your pet’s nails with high speed, gradually reducing the size of the nails. 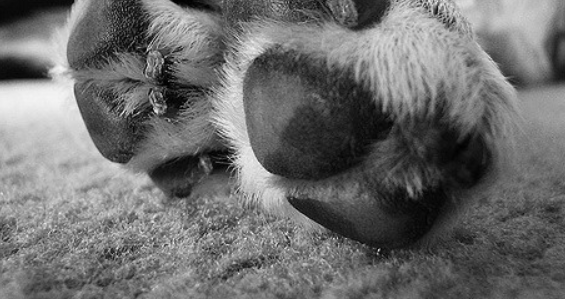 If your pet’s nails grow too long, they could break, twist, and cause your pet immense pain. If left untrimmed for an extended period, they could result in skeletal problems. Long nails are often painful for a dog when it is walking, and this could affect its behavior. When they are well trimmed, the nails should not touch the ground when your dog is walking or standing. If you hear your pet dog’s nails touching the ground surface as it walks across the house, you should consider giving them a trim. If the dog nail grinder comes with the option for different bands and multiple extensions, it is advisable that you consider a lighter option first. And as you gain experience grinding the nails, you will discover the best grinding option. Before you can even start the nail grinding process, you will need to find a spot that makes your pet feel comfortable, and this could be on the couch or a large dog bed. In its lying position, you need to ensure that you can quickly access the four paws. And if the nail grinder does not have a nail guard, it would be advisable that you trim the hair between the foot’s pads before grinding. The guard on the nail grinder helps keep hair away from the machine’s grinding wheel. If your grinder has different speed settings, it is advisable that you start slow until you feel that your dog is comfortable with the grinding process. And if you have never used a nail grinder on your dog, it is imperative that he first gets used to it. You could turn it on and bring it close to the nails so that your pet sees that it is no big deal. Once you are ready for the process, you need to gently squeeze the dog’s toe pad to aid in extending the nail. Place the name in the approximately sized hole in the grinders nail guard. While applying sufficient pressure, get rid of the excess nail evenly. Continue grinding your dog’s nails until they are the ideal size without going near the quick. This is the section of the nail where nerves and blood vessels are located. Getting to close to this part could result in bleeding although the injury is often never severe. Grind a small part at a time: Even when you are trimming the nails with a nail grinder, you should grind a small part of the nail at a time. Be sure to support your dog’s toe without squeezing too hard. Keep the dog comfortable: When it comes to grinding your dog’s nails, it is vital to ensure that your dog is resting in a comfortable position. Besides, you should consider how you’re holding the dog’s foot, and it is advisable to hold the paw in a manner that you can easily separate the toes from each other. Some dogs prefer having their paws bend backward while others like resting with their paws out, so you need to determine what works best for both of you. Nail grinders get hot: If you grind a nail for too long, there is a chance that the grooming device will get hot. Therefore, you should not hold the grinder against the nail for more than two seconds. Press and release in short intervals until the nail is completely shortened. Watch out for fur and hair: If your dog is hairy, be sure to keep it away from the grinder because it could easily get caught. Once the grinding is over, you can reward your pet with a delicious treat. Next articleAre Pet Nail Grinders Safe to Use on Dogs?